For men, the questions of when and how does receding hairline start may be one of the most important questions because it is related to their appearance. 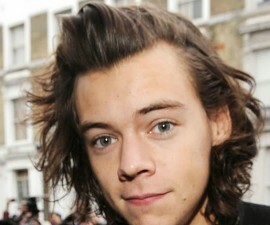 Like women, most men also rely on their hairstyle to support their appearance. Men are given more facial hair than women, and the good news they also have found many ways to use it and improve their appearance like moustache and beard. Men with beard look more masculine and those with moustache will look more mature. 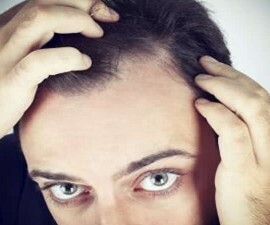 Receding hairline – what does it mean? Since hair on the scalp is also important for men, receding hairline is one of issues they mostly concern when it comes to their hairstyles. In general, you should not worry about it since it is usually harmless. In fact, many times the treatment is due to only for cosmetic reasons. But since it can significantly affect the way of how your hairstyles should go, you may wonder whether it can be treated and reversed. See the complete guide to fix it naturally in this post! It could be attributed by different factors. 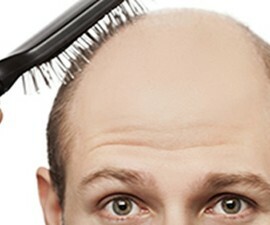 The most worry thing, it may signal the male-pattern hair loss which can end with baldness. However sometimes it may also be related to some lifestyle factors, such as a deficiency of certain nutrient. For instance, iron is essential for the health of hair follicles. Iron deficiency may be relatively more common in women. But it is also pretty common in men. Rarely, it may be linked to another lifestyle factor such as chronic high stress. If it is linked to certain lifestyle factors (revisable cause), it is relatively easier to treat than when it is linked to genetic trait such as in male-pattern baldness. Another thing that can lead to this hair loss problem is trauma in the scalp because of extreme hair pulling or as a result from medications (such as chemotherapy and radiotherapy). When and how does the problem start? When does it start? The answer may vary. While some can have it earlier such as before the age of 20 (see also receding hairline at 17), others can have it older or even after 40. However in general, typically it starts at the ages of 20s-30s. It usually affects both sides of forehead and then continues on the top of the scalp, which then eventually it may end with baldness. The good news, not all cases end with baldness. Today, there are plenty of options for coping from lifestyle measures, home treatments, and even hair transplant. Each treatment has benefits and drawbacks. For more advice and if you do concern about your hair receding, see a doctor!